Hi and welcome to the website of AAHB Web Solutions. We are a Gold Coast website design and development company specialising in developing custom designed websites for small businesses to major corporations. We do work for companies all over Australia as well as local Gold Coast companies. We design our websites to ensure they are fast loading, search engine friendly and easy to navigate around so that your customers can find the information they are after, fast. Our Small Business Website Design Package allows you to keep your website up to date using our custom built user friendly Drupal Administration system. Our eCommerce/Shopping Cart Solution is a flexible solution that allows your website to grow as your business grows. We have chosen Drupal Commerce for our eCommerce solution of choice. 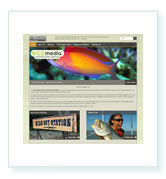 Our Custom Website Package allows you to keep your website up to date. 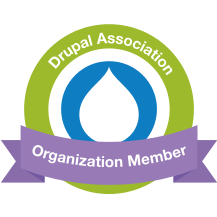 We have chosen Drupal as our Content Management System of choice. 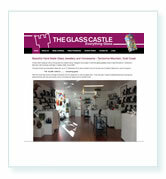 We can custom build any website functionality you require. After evaluating the many open source CMS/Shopping Cart options, we have chosen to develop our websites using Drupal. Drupal allows us to build websites that are user friendly, easy to maintain, robust and secure. The first release of Drupal was in 2001. Drupal is an open source content management platform powering millions of websites and applications. It’s built, used, and supported by an active and diverse community of people around the world. Choosing open source solutions gives you the peace of mind that you are not locked in to proprietary software.